The greatness of the Upanishads lies in the fact that many of the passages appearing in them find mention in the Bhagavad Gita — the very essence of Indian thought and wisdom renowned the world over. 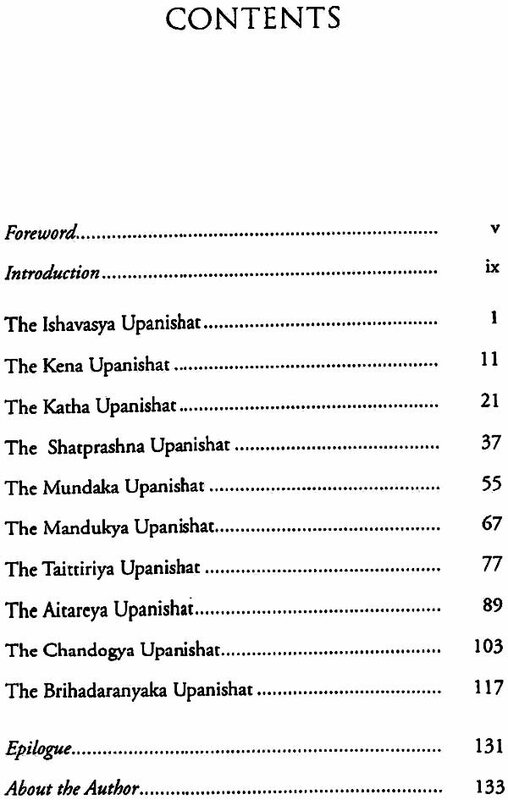 Of the 108 Upanishads recognised and accepted as genuine by scholars, these 10 essential Upanishads have been extensively studied and interpreted upon by leading theologians including Mahatma Gandhi, Dr. Radhakrishnan, Rabindranath Tagore and Albert Einstein to name just a few. 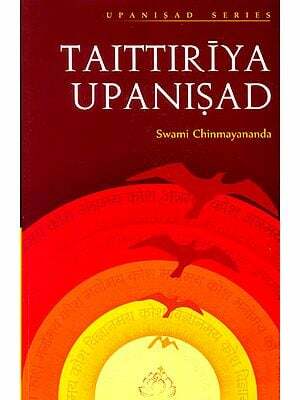 An invaluable gift to humanity, the teachings contained in the Upanishads are relevant for all time. Since they are often in the form of lectures delivered by a teacher to a student, they inspired the 'Question-Answer' format for this concise book. Easy to read, easier to understand — The 10 Great Upanishads is a must read for those who want to benefit from the lessons the Upanishads have for everyone. I am indebted to Dr. Giridhar Boray for this invitation to write a Foreword to his commentaries on the The 10 Great Upanishads. Dr. Bora), has had a distinguished career as a technology adviser. Study of the Indian scriptures has been his special interest. Upanishads mark a quintessential expression of the ultimate vision of 'Reality' in man's eternal spiritual quest. "The Upanishads" says Dr. Radhakrishnan, "represent a great chapter in the history of the human spirit and have dominated Indian philosophy, religion and life for 3000 years. Every subsequent religious movement has had to show itself to be in accord with their philosophical statements. Even doubting and denying spirits found in them anticipations of their hesitancies, misgivings and negations." 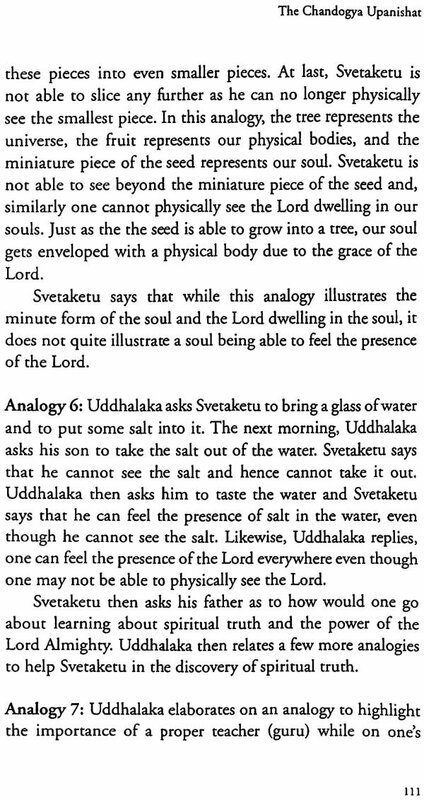 In the tradition of Vedanta, there are two main schools. One is the school of Vedantic Theism; the other the Vedantic Absolutism. There are many sampradayas (traditions) within each of them. 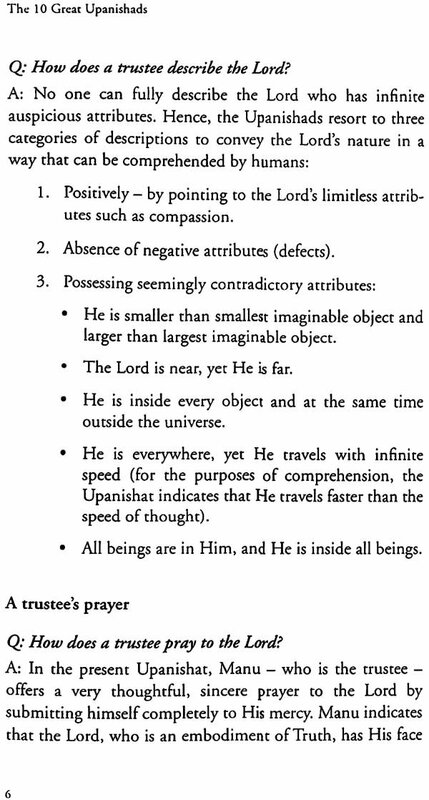 The Upanishadic texts are invoked by either side. The epistemology of the non-dualistic standpoint is that problems are inexplicable on the level of relative experience. Only when this level is transcended is there any more the need to solve them. Vedantic Theism postulates one supreme God who creates, sustains, regulates, destroys the Universe and all within it. He is Sat, Chit, Ananda (truth, conscious-ness, bliss) with inexhaustible, infinite attributes and is transcendent and immanent unconditioned by space and time. 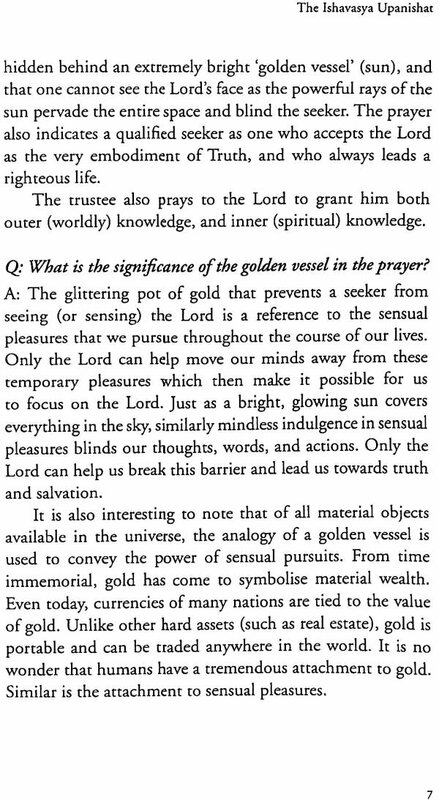 There are certain interpretations touching the apparent contradictions and antagonisms between the fundamental postulates of the liturgical and ritualistic expositions of the Samhitas (most ancient layer of text in the Vedas, consisting of mantras, hymns, prayers, etc.) in the Vedic literature on the one hand, and the purely philosophical positions of the Para Vidya (higher knowledge) in the Upanishads on the other. These are perceived by some as a revolt against, and reaction to, the 'Karma' sections of the Samhitas and a spirit of denunciation implicit therein. The Meemamsakaras stand by the liturgical and ritualistic parts of the Vedas. These areas of great debate amongst scholars are at once prodigious and illuminating. The range and depth of these debates indicate the heights of Indian spiritual thought. On many an occasion, Western philosophers seemed to claim that 'rigorous philosophy' has been an exclusively Western phenomenon. But a professor of Philosophy at Harvard observed, "By now it is pretty well recognized that Asia generally, and India in particular, has a philosophical heritage as rich, subtle, and variegated in its own ways as is that of the West." He added, "Bertrand Russell has not stood out during his lifetime as an admirer of Asian thought but, long after his contributions to mathematical logic have been forgotten, his History of Western Philosophy may be remembered, not for its contents but for its title which, in the Western world, was the first to have the grace to recognize that Western philosophy is not synonymous with philosophy generally." Western philosophy makes no distinction between the `Mind' and the 'Knowing self'. Mind is more or less equated to consciousness. But traditional Indian philosophy clearly separates the 'Annan' from the 'Mind'. 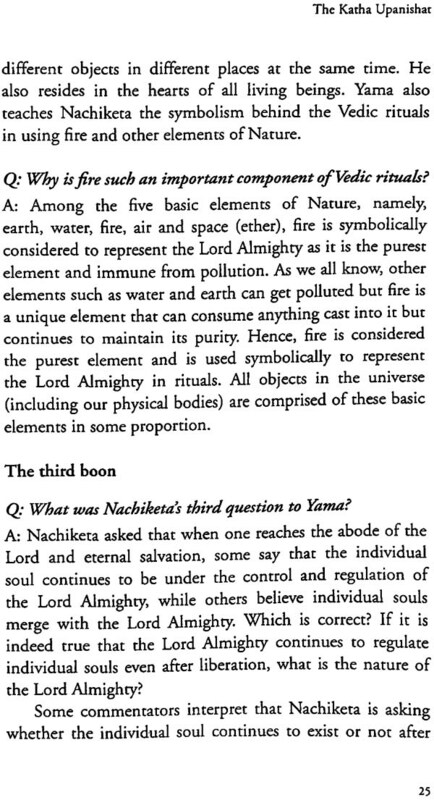 Dr. Boray portrays in these essays the didactic spirit of the Upanishadic quest. The presentation of the 'Questions and Answers' method in the Upanishadic texts exemplify the pariprasna (inquiry) technique of exchange of knowledge. 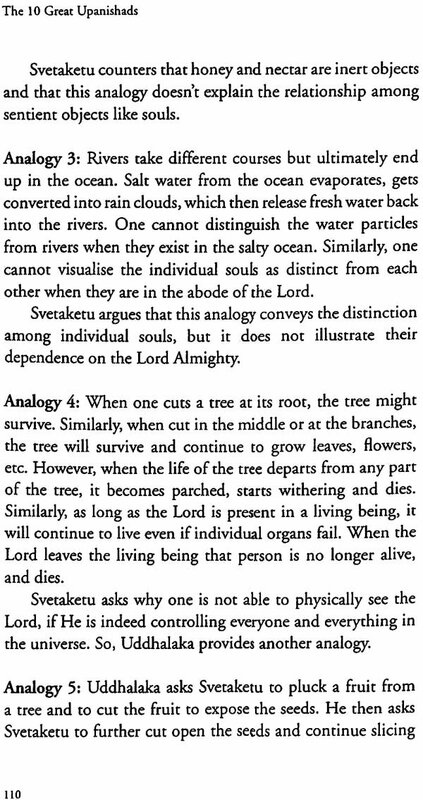 Particularly interesting are examples of this from the Brihadaranyaka by the author. The present generation of Homo economicus, distanced from Indian spirituality, needs an introduction to the sublimity and lofty richness of the Upanishadic treasure. The learned author seems well-equipped to anticipate the doubts of the well-meaning modern generation as, indeed, he himself has spent successful professional time in the West. He deserves our appreciation for his deep study of the message of the Upanishads, and for giving us the rich and rewarding results of his studies. As civilisations evolve over time, progress is increasingly measured in terms of material comforts with very little attention being paid to the overall quality of life. Modern medicine is singularly focussed on extending one's life without much regard to the maintenance or extension of inner happiness. In their eternal and unending quests for material riches, human beings have usurped the natural habitats of other species and destroyed the ecological balance resulting in catastrophic natural disasters with increased frequency. Accompanying these natural disasters are the battles within, where humans are increasingly resorting to substance abuse and similar self-destructive behaviour, as their search for a perfect life, full of unending material comforts and eternal youth, leads to emptiness. Great civilisations before our times have not had the same levels of material comforts as we have access to, but have confronted issues such as the purpose of life, moral decline, etc. Their trials and travails have been well chronicled in scriptures such as the Upanishads. Humans have a tendency to look at history and classify time epochs as pre-historic, medieval, etc., which often are code words for periods dominated by subhuman behaviour among races. There is a growing movement among modern-day intellectuals who proclaim that the advances in science and technology have resulted in faster means of communication and this, in turn, has resulted in a better and more intelligent world. This belief confuses information for knowledge. Even a cursory review of great scriptures such as the Vedas reveal the evolved thought processes and arguments that only a highly evolved race can put forth. Yet, all these occurred over thousands of years ago where sharing of information among people was limited. In fact, the Vedas predate invention of script and the concept of writing, and were orally transmitted by a teacher to a pupil. The Vedas and their components such as the Upanishads represent millions of years of evolved thought processes carried through generations, and are as relevant and fresh today as they have ever been. `Upanishat', a Sanskrit word, means 'higher knowledge'. The Upanishads are a part of the Vedas, the ancient scriptures that shape the Hindu school of thought. It is believed that the Vedas always existed and are not authored by anyone, human or divine. However, by divine arrangement, specific aspects of the Vedas were revealed to the sages. As the Upanishads are `seen' by sages, they are called 'seers'. This then gets passed on to succeeding generations verbally by a teacher to a student and so on. The Vedas, which literally mean 'knowledge', are infinite and eternal, and thus it stands to reason that the Upanishads, that are a part of the Vedas, are also infinite. They are revealed to deserving individuals at different times. However, about 108 Upanishads are recognised by scholars and among these 1 08 Upanishads, 10 Upanishads are extensively studied, interpreted, and commented upon by leading Hindu theologians. The greatness of the Upanishads is reiterated by the fact that many of the passages appearing in them find mention in the Bhagavad Gita, which forms a part of the great epic Mahabharata. 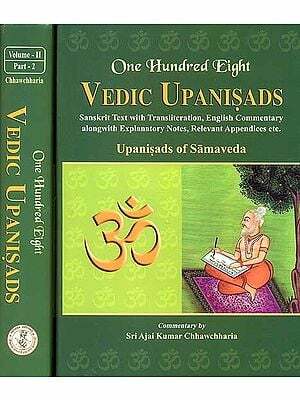 While excellent commentaries and translations of these Upanishads exist in many Indian languages, very few are available in English. Many of the works in English on the Upanishads are scholarly writings that are beyond the understanding of most people. 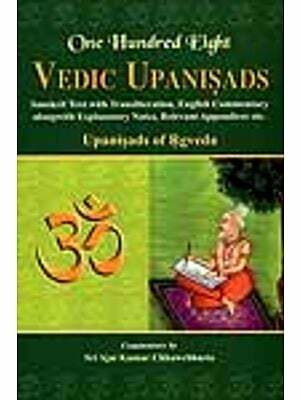 This book attempts to bring out the essential concepts of the Upanishads in simple English, and therefore avoids the use of too many Sanskrit terms in order to make it more accessible. The content of these Upanishads is often a lecture by a teacher to a student, and hence ideally lends itself to a Question and Answer (Q&A) format. Some questions are directly taken from the Upanishads, while others have been framed in such a way that the answers are the teachings from that particular Upanishat. The book contains 10 chapters, each devoted to one of the 10 Upanishads. 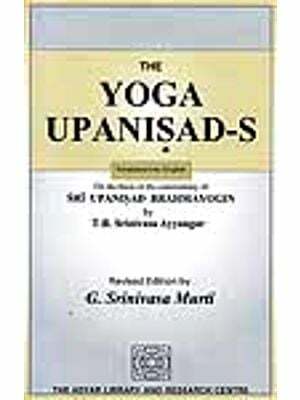 The subtitles of the chapters are chosen to convey the core theme in each Upanishat. For the purpose of keeping the writing simple, I have used the pronoun 'him' throughout, whereas of course 'him' or 'her' is meant and may be read interchangeably.